As per title, I've heard that some cars had an illuminated ignition ring. Is this a myth? If you can't find one use the item from a Nissan Maxima (J30 or A32 - I think these are the right model numbers). There is a bit of wiring harness at the fuse block that also needs to be got. Nice one, I'll search for the part number, don't suppose you know it ? Isn't the primera and skyline one the same. Think the 300zx had them too? @Stu wrote: Isn't the primera and skyline one the same. Think the 300zx had them too? Could be, only know about the Maxima one myself. There was one on ebay recently, i got outbid but they are another item that goes for quite a bit these days. I think I have one in mine. This is what they look like. Sure you can pick these up for a universal fitament. Just google- illuminated ignition ring. Many cars have it. Is it a standard size then? How many wires is it? When does it light up? When you turn on the ignition or beforehand? If it lights up when you turn on the ignition just put the positive to a remote turn on such as the cig lighter or the remote turn on wire for the stereo. 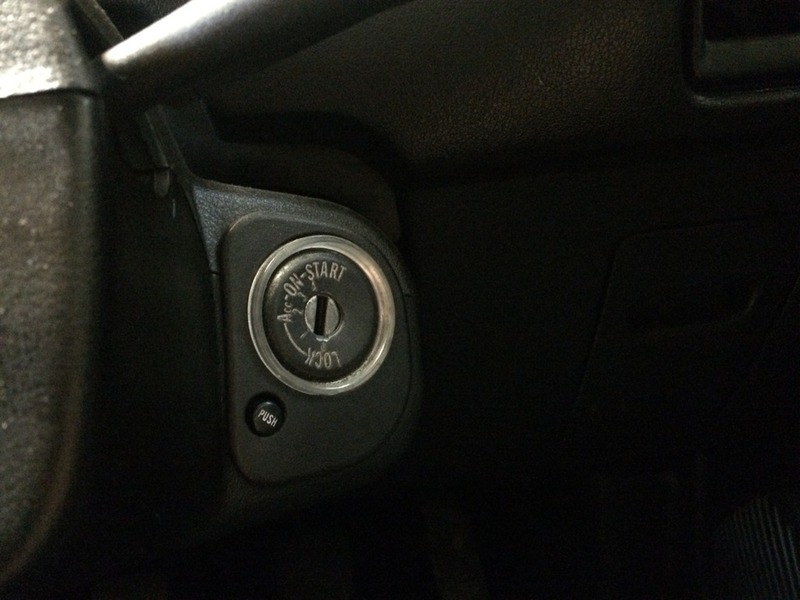 If it lights when you enter the car you can wire it to the dome light or direct to the trigger on the door so when you open the door the switch turns it on. After the post I just read I have to say this!!! 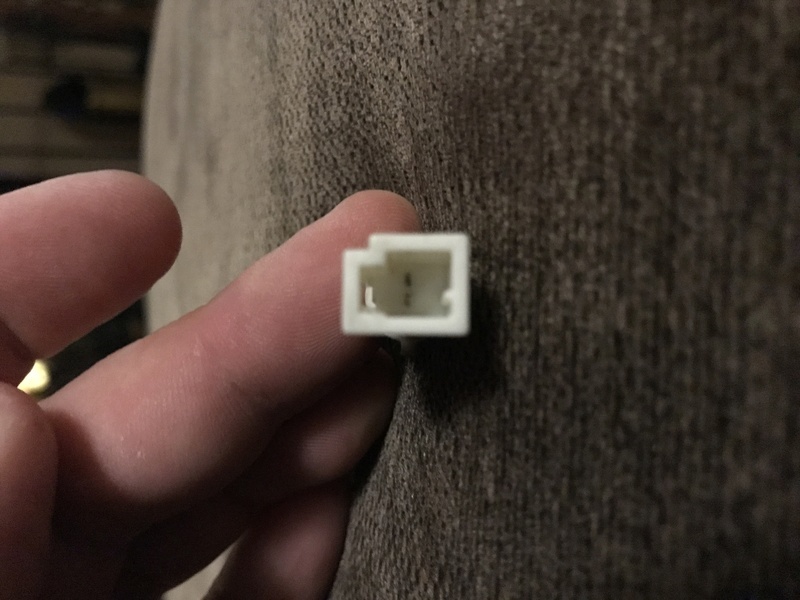 I need to get a replacement bulb and a connector for that replacement. 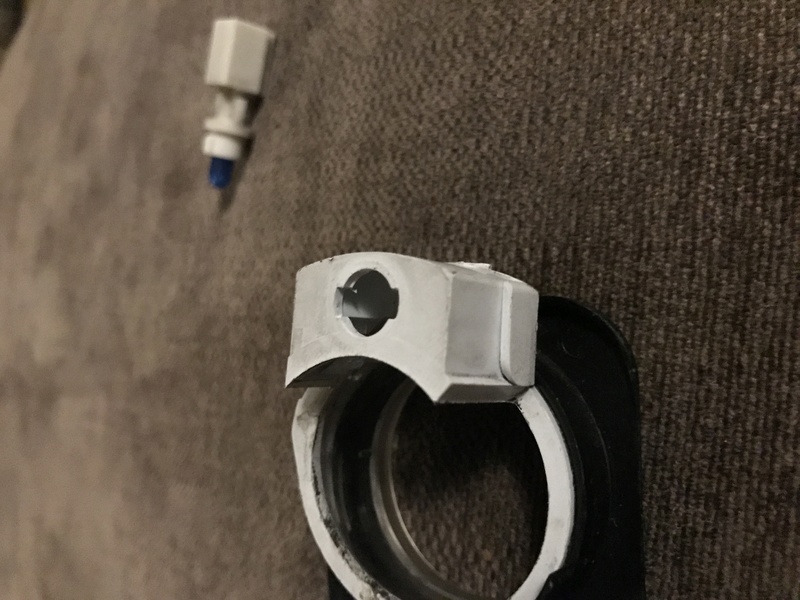 I have found one but don't have a connector for it, so will need to get a bulb and connector but it needs to be the right fitting to lock into the illuminated ignition ring. 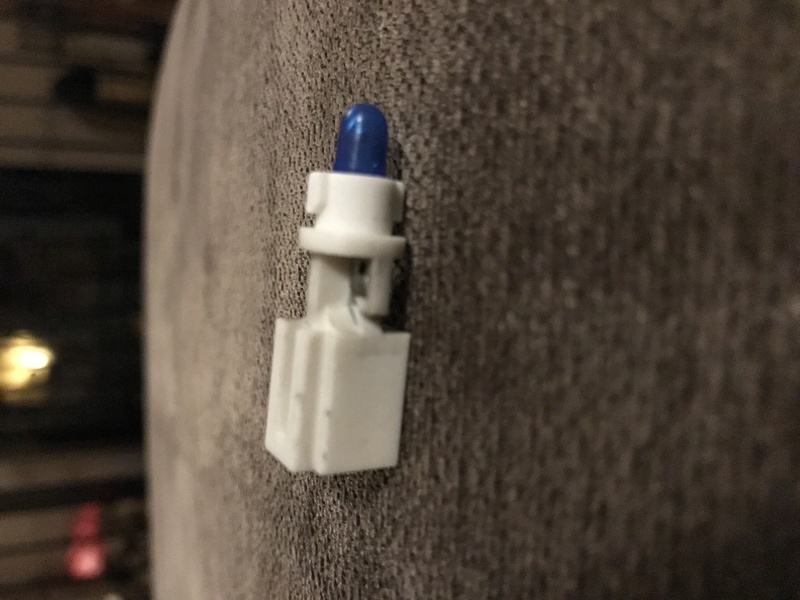 Anyone know what bulb this is and what connector I need for it? 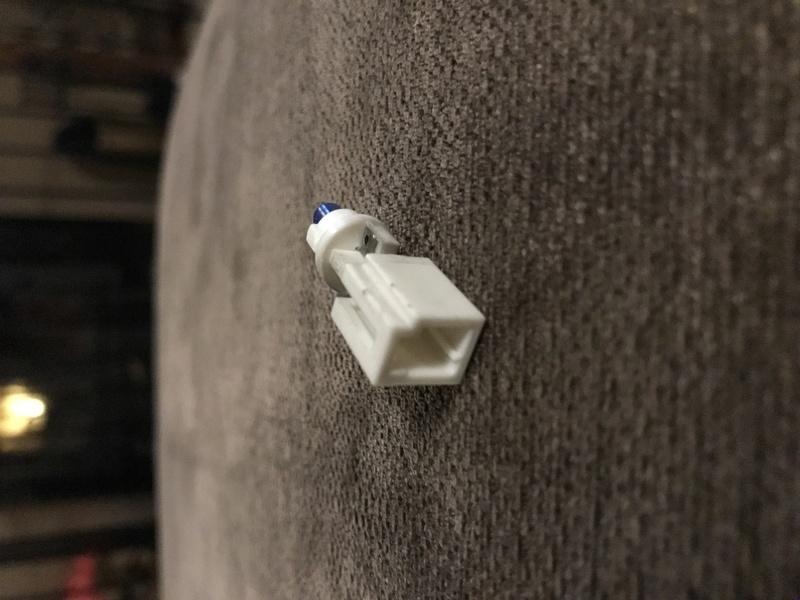 Or a suitable replacement bulb and connector? does the blue bulb not pull out the holder and it like a mini capless bulb . I normally pull the jap speciality bulbs/holders/harness parts from spare dash and switch assemblies . Only one I can recall is on a skyline and pretty much same/identical bulb latching hole as on your light ring. Bulb assembly on those compact at bulb and has a small harness tail with plug connector, whether bulb pulled out or not from plastic body I don't know for sure but most but not all dash ones of similar design I encounter did . I would be heading to local pull-a-parts and investigating all nissans or jap cars for the bulb assembly and part of harness with plug if required for your grafting needs . would be easy enough buy a plug and make up tail to suit though . 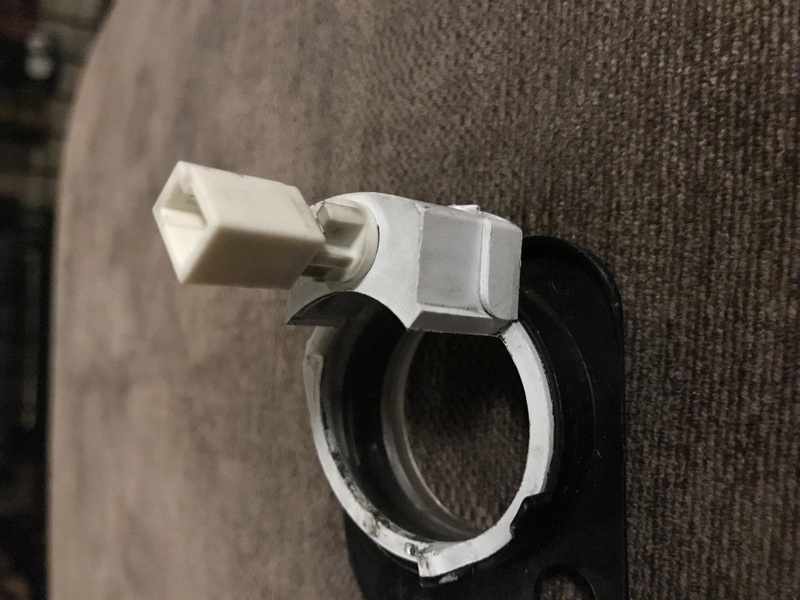 Other option is look on ebay and similar for the nissan ignition barrel light rings and you likely see the bulb part and get some judgement on standard part sharing and fitting chances . I'll have a dig around, it's certainly not a bulb I have come across before. The only reason I have the blue one is that in my quest to obtain a pulsar one, I bought a ring from a different car and it already had the bulb with it.